Agapanthus is since the reclassification in AGP III the only genus in subfamily Agapanthoideae in the family of Amaryllidaceae. It was previously considered to be in the Alliaceae family (now also a subfamily of Amaryllidaceae) from which it differs in not having the characteristic sulfide-containing substances which dominate the smell of those. Plants grow from rhizomes and have strap-like leaves. Flowers are umbels of blue or white funnel-shaped or tubular flowers. This genus is found in rocky grasslands on the southern and eastern fringes of southern Africa. Species in areas where there is year round rainfall are evergreen and those where rainfall is sparse in winter are deciduous. 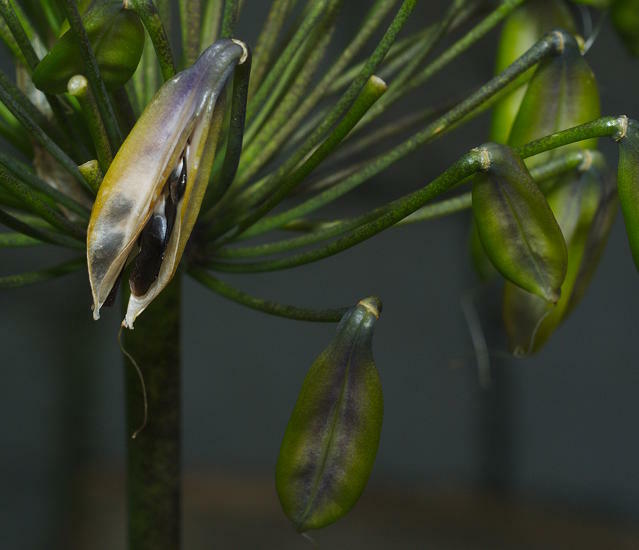 Information from the South African National Biodiversity Institute's web pages tells about this genus with more information too about Agapanthus praecox. Seeds are somewhat ephemeral and will last for about 6 months. Most sources recommend sowing seed fresh. The seeds are sometimes shed while the pods are still green, so it may be good to collect the pods just as they begin to split open. 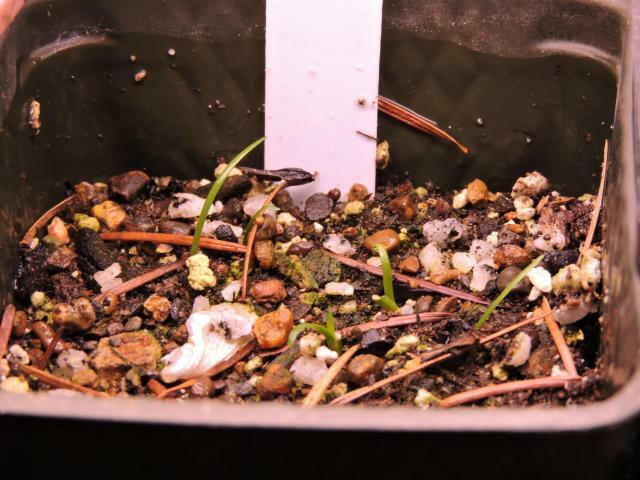 Travis Owen experimented with sowing depth of seed from an Agapanthus hybrid, and found that seed sown on the surface germinated quickly with a good germination rate, while seed sown under a half inch layer of grit or soil was unable to push through the surface, or didn't germinate at all. Seed sown in the Autumn was kept moist and under lights with bottom heat, germination occurred within a few weeks. Photo below of a pot of seedlings by Travis Owen. Photos by David Pilling. Usually flowers have one style and six petals and anthers but in the first photo there are seven. 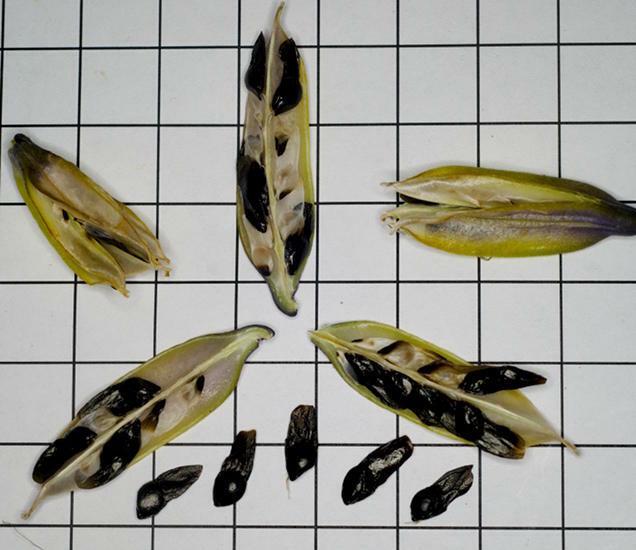 The next photos show seed pods and seeds and a seed pod split into its three sections on a 10 m grid; notice the swollen head of the seeds. 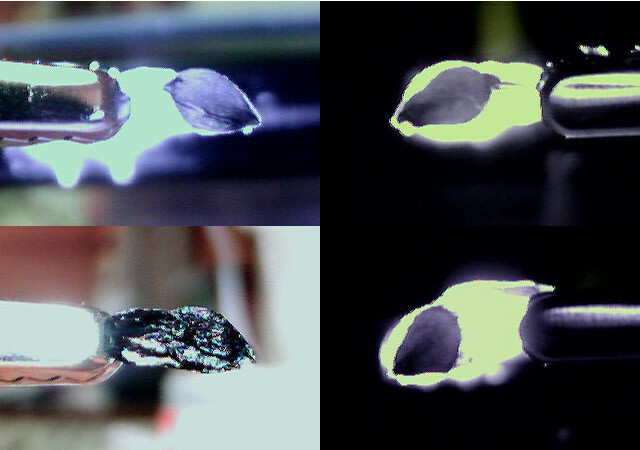 Photo 5 is of seed viewed using transmitted infrared light, the first three frames are of the same seed from both sides and using visible light. These confirm the seed has a large wing. These tables show species and hybrids of Agapanthus. 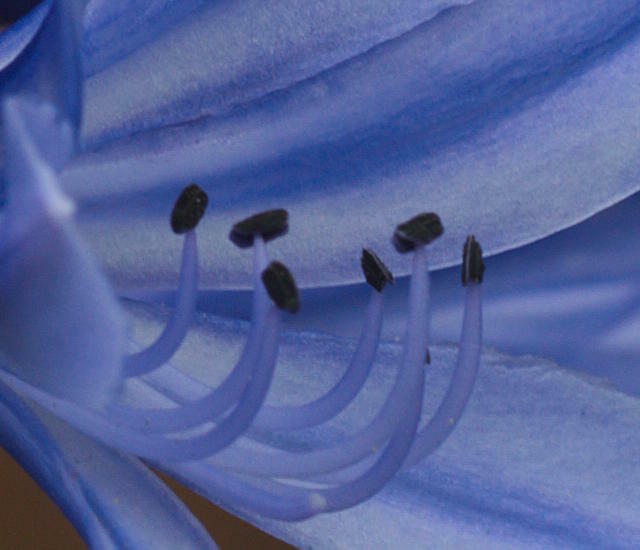 See all the species together on a single page, go to the Agapanthus species overview page. 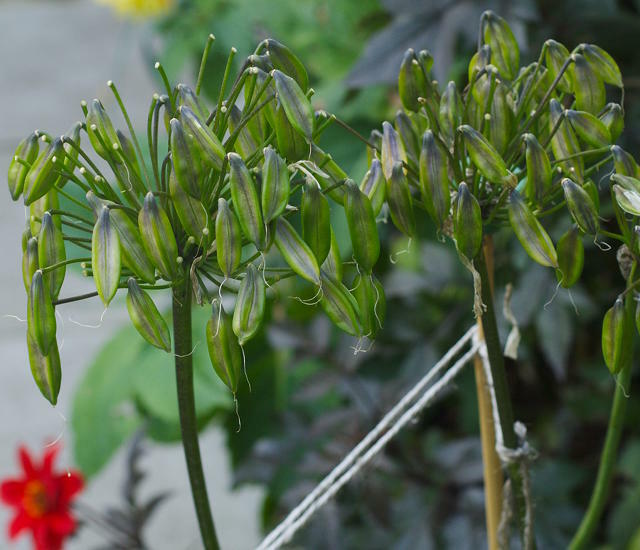 See all the hybrids together on a single page, go to the Agapanthus hybrids overview page.